Damascene activists no longer dare to talk about the latest regime practices, the last of which was capturing young men and making them join the army. He added: “I have many relatives who joined the army by force, after they were arrested on checkpoints on their way to work. 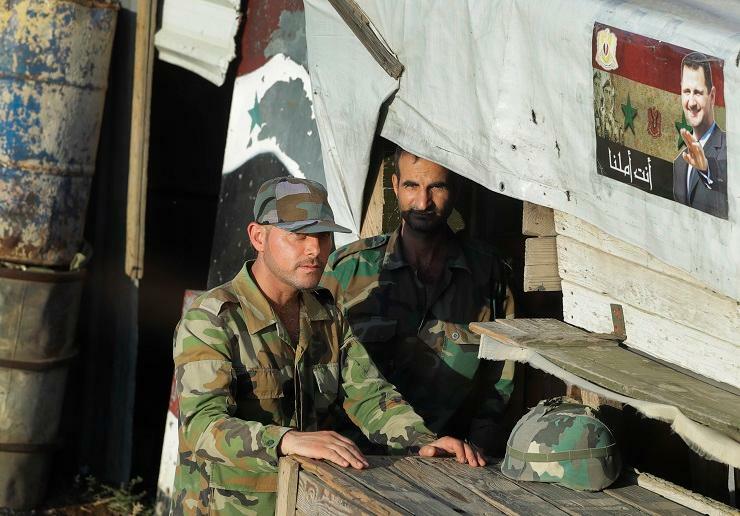 They were sorted to serve the army in the countryside of Damascus, especially for the forces of al-Dreij village. Syrian young men in Damascus and its suburbs are constantly worried. Most of them don’t leave their houses due to the number of checkpoints that could detain them and place them in the Syrian army. The process is not aimed at young men opposing the regime only, it also includes its supporters. Despite the regime previously announcing amnesty to those who did not join, locals say that it is just “ink on paper” and that it was made to trick them into leaving their houses, only for them to be detained and forced to join the army. Military raids and campaigns even extended to shelters that the Syrian regime made for the displaced across the country. The latest raid was on a shelter called al-Harjalah, whose residents were displaced from Daraya and Eastern Ghouta. Anger has dominated the Syrian scene a couple of days ago, after a picture surfaced on social media showing chained young men said to have refused joining the army, with some users on Facebook describing it as “slavery”.